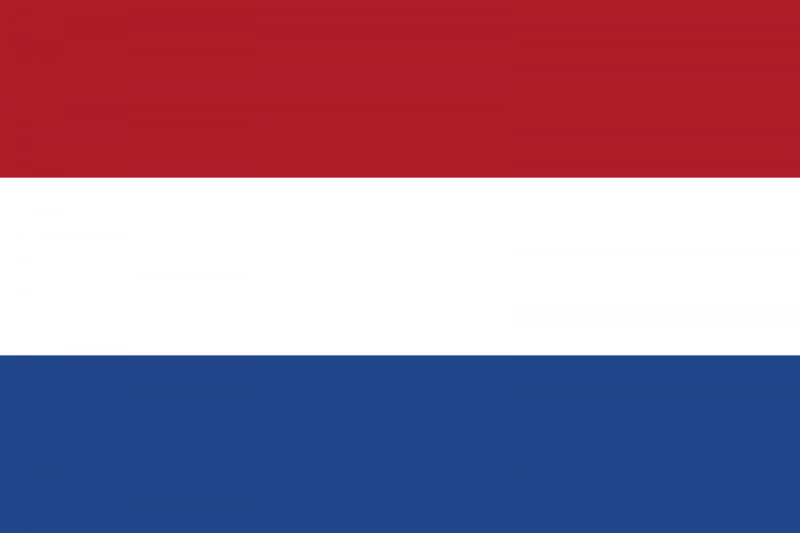 The Netherlands launched a third National Action Plan in 2016 for the period 2016-2019. The third NAP was developed as a cooperation between government and over 50 Dutch civil society organisations and knowledge institutions with the goal to: ‘help break down harmful gender norms, enhance protection, and give men and women equal leverage in conflict prevention, resolution, peacebuilding, relief and recovery’.The Netherlands launched their first NAP in 2007, and a second NAP in 2011 for the period 2012-2015. The Netherlands does not have a recent history of conflict, but they play an important role in international peacekeeping and humanitarian efforts. As such, there is an international focus to the Dutch NAP. The NAP mentions disarmement in general by stating that ‘many approaches to disarmament, demobilisation and reintegration reaffirm gender stereotypes and confirm the perception of women as victims, potentially undermining the empowering leadership roles that women can play and reducing the space for men to reconsider the gender norms that prescribe certain behaviour’. Moreover, there are not specific indicators listed in the NAP. WILPF-Netherland was involved with the development of the NAP. The third NAP was created on the basis of lessons learned from the previous two NAPs where civil society and grass root actors gained increasingly active roles in development and implementation. The overall objective of the third NAP and the specific goals pertaining to this, has been translated into a set of outputs. Each activity will be carried out in several focus countries with the aim of producing an output which contributes to the overall objective of the NAP. The activities are divided into three types of interventions; (1) knowledge sharing, (2) advocacy and (3) joint programming. The focus countries are: Afghanistan, Colombia, The DRC, Iraq, Libya, South Sudan, Syria and Yemen. Civil society organisations are noted, in collaboration with other actors, as the ‘relevant signatory’ responsible for carrying out the activity to obtain the output corresponding with the activity. For example, the activity ‘Inform government actors in the Netherlands and the focus countries about context-specific best practices and barriers to women’s meaningful participation’ has ‘Civil society organisations (CSOs), knowledge institutions and their local CSO partners’ as the relevant signatories for implementation. The third NAP describes the signatories from civil society as ‘development, peace, human rights and diaspora organisations that operate at local, regional, national and international level. They are connected with civil society all over the world and have a long tradition of international solidarity in defence of the Women, Peace and Security agenda’. The signatories and external actors will meet at every two months in context-specific forums where the signatories share perspectives on the country situation while working with partner networks, embassies and staff in the region to develop a strategic plan with specific, quantifiable activities. It is also noted, that each signatory will publish an individual pledge on this Action Plan, setting out the organisation’s vision. The monitoring of the third NAP will be done through a context-specific monitoring and evaluation (M&E) system based on specific, measurable, attainable, realistic and timely (SMART) indicators where the Netherlands meet with the focus countries to exchange experiences and knowledge on the implementation of the NAP. The signatories involved with the development and implementation of the NAP will also be part of this process. The NAP has two coordinating partners: the Dutch Gender Platform WO=MEN and the Ministry of Foreign Affairs which will design the M&E system based on the developed. country strategies. The development of the third NAP was created through a multi partnership approach where the Government bodies of the Netherlands cooperated with civil society, UN bodies and the focus countries in drafting a revised NAP based on lessons learned from the previous two NAPs. The third NAP notes the distinct responsibilities of the Dutch Government in carrying out concrete activities in line with the Women, Peace and Security strategy under the UN resolutions pertaining to the WPS agenda. The NAP for instance highlights the government's obligation ‘to ensure that gender is mainstreamed in its peace and security policies, and should ensure that its own policy frameworks recognise women’s special needs in conflict-affected environments and contribute to women’s equal participation in peace and security processes’. Specifically, the Police and the Ministry of Defence address gender through Security Sector Reform training courses and programmes which are carried out in close cooperation with civil society. The Ministry of Foreign Affairs will also allocate an annual budget for the implementation for the third National Action Plan so the activities have the necessary resources for implementation. Ensure that women have equal leverage in conflict prevention and resolution, peacebuilding, relief and recovery at all levels, and that their efforts are acknowledged and supported. The overall objective has furthermore been broken down into 3 specific objectives which have corresponding activities in ensuring their implementation. The 3 specific goals in achieving the overall objective of the third NAP, have all been given corresponding expected outputs and relevant signatories assigned to ensure that they are implemented. They furthermore have a list of specified activities to be carried out in the implementation. Each of the activities have assigned relevant signatories ranging from the Dutch civil society organisations and their local CSO partners to the Ministry of Defence, Ministry of Foreign Affairs, Ministry of Security and Justice as well as the Dutch Police. The Ministry of Foreign Affairs allocated a budget of €4 million a year for the period 2012–2015 for the implementation of the second NAP to support the joint projects with signatories in each focus country. The second NAP also noted that ‘organisations that signed up for this task received a modest budget for activities covered by the second Action Plan’. The third NAP states that The Ministry of Foreign Affairs will allocate an annual budget for the implementation of the third National Action Plan but does not further specify the allocation of funds for the NAP implementation. The number of joint training courses conducted by the signatories; the number of organisations involved in developing the proposals, and their contribution to implementing final projects. To ensure greater participation by women in the security sector theres is a need for a fundamental shift in perceptions on peace processes and gender roles, notes the third NAP. It is furthermore stated, that ‘many approaches to disarmament, demobilisation and reintegration reaffirm gender stereotypes and confirm the perception of women as victims, potentially undermining the empowering leadership roles that women can play and reducing the space for men to reconsider the gender norms that prescribe certain behaviour’.